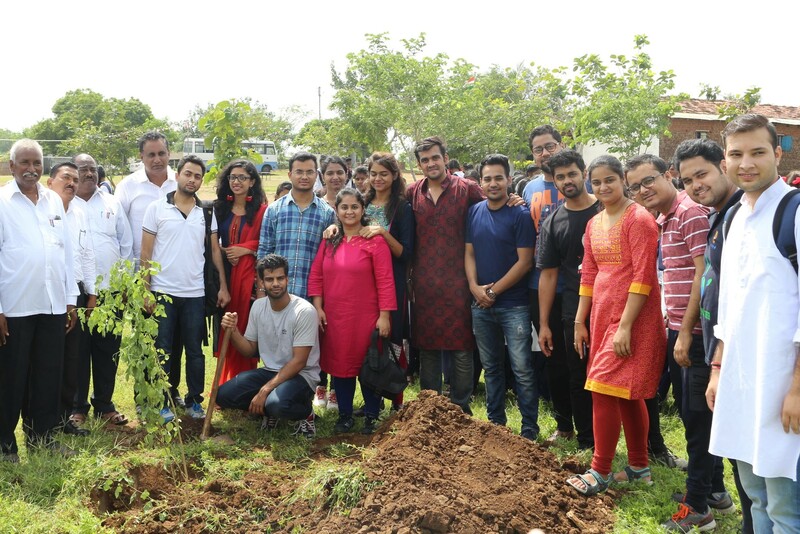 The Centre for Corporate Governance (CCIZ) of Institute of Management Technology (IMT), Nagpur organised a tree plantation drive on August 15, 2017 at Dorli Vidyalaya. Mr. S. M. Kundawde, Principal of the school, welcomed a group of 30 student managers who thereafter began their efforts enthusiastically. Every year, CCIZ conducts this tree plantation drive and this year they donated 50 saplings of different varieties, including neem and rose, to the school. A demonstration was given by one of the student managers on how to plant the saplings after which the school students actively participated in the process. The student managers also informed the students about the benefits of planting trees. Finally, some sports and cultural activities were conducted. It was a successful event and both the student managers of IMT Nagpur and students of Dorli Vidyalaya spent their time productively on the 71st Independence Day of the country.